VISITING CEDAR KEY? STAY AWHILE! NEW! CLICK ON THE HOUSE ABOVE FOR OUR FURNITURE PROGRAM! Welcome to ellieshouses.com. 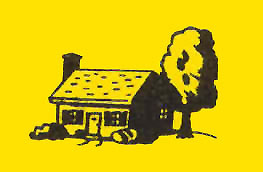 Ellie's Houses For Rent is a family business providing quality single family homes in the Gainesville area. are family owned and managed. are quality, well-maintained, single family homes. are rented as whole houses (no individual room leases). are rented with one year leases with option to renew. 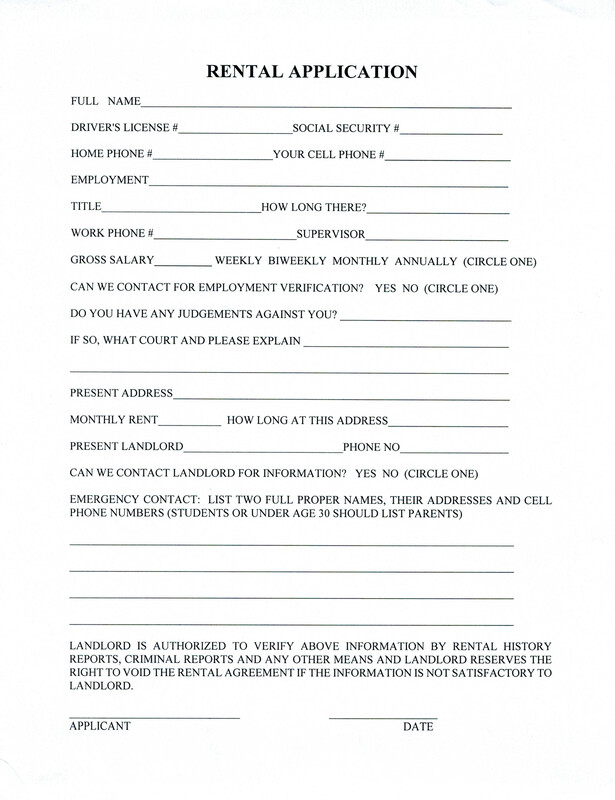 leases usually run from August 1st to July 31st. have a lawn service available at low commercial rates upon request. are favorably located for biking and/or bus riding to UF campus (see maps). require additional security deposits for acceptable pets. While we encourage prospective tenants to drive by and look at our houses, please do not look in the windows or enter back yards. These houses are occupied and we must respect our tenants' privacy. Showings can be arranged upon request. The pictures on this website were taken with the intention of showing as much of a room as possible, not to distort or make rooms look larger than they really are. 4 Br / 2.5 Ba, Bonus Room, Wood Floors, Large Kitchen, Indoor Laundry with Washer and Dryer,Large Corner Lot, Deck with Hot-Tub. NO PETS. 3 Br / 3 Ba, 3rd Floor Unit, Open Kitchen with Breakfast Bar, Patio, Lots of Closet Space, Short Walk to Campus, Washer and Dryer Included. 3 Br, 1 Ba, Fireplace, Wood Floors, Large Back Yard, Screened Porch, Patio with Furniture, Washer/Dryer Included, Walking Distance to UF. NO PETS. 3 Br, 1 Ba, Completely Remodeled in 2008, Fireplace, Huge Back Yard, Open Front Porch with Bench Swing, Walking Distance to UF Law School. NO PETS. 3 Br / 1 Ba, Hardwood Floors, Remodeled Kitchen and Bath, Large Deck, Screened Front Porch, Walking Distance to UF Law School. NO PETS. 3 Br / 1 Ba, Living Room and Family Room, Fireplace, Wood Floors, Gazebo with Hot Tub, New Kitchen 2016, Walking Distance to UF Law School. NO PETS. 4 Br / 2 Ba, Living Room with Fireplace, Dining Room, Wood Floors, Large Deck, Quiet Street on a Pond, Washer/Dryer included, Walking Distance to UF Law School. NO PETS. 4 Br / 3 Ba, Vaulted Ceiling, Fenced Back Yard, New Kitchen 2016, Screened Porch. Washer/Dryer Included. 3 Br / 1 Ba, Fenced Back Yard, Carport, Large Corner Lot, Large Unfinished Indoor Storage Area. 4 Br / 2 Ba, Large House, Wrap-Around Floorplan, Indoor Laundry Room, Sunroom, Front Porch with Bench Swing, New Windows, New Kitchen 2017. Fenced Back Yard with Shed. 3 Br / 2 Ba, Enclosed Garage, Large Family Room, Large Front Yard, Fenced Back Yard. 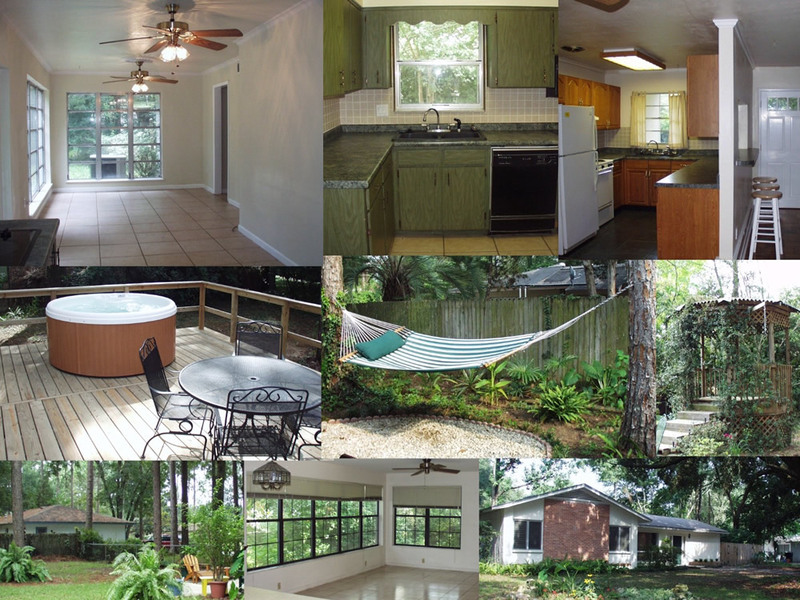 4 Br / 2 Ba, Hardwood Floors, Fenced Back Yard, Patio, "Community Treasure" Live Oak in Front Yard. 3 Br / 2 Ba, Large, Huge Family Room with Fireplace, Fenced Back Yard, Patio. 3 Br / 1 Ba, Pass Through Kitchen, Screened Porch, Gazebo with Hot Tub. 3 Br / 1.5 Ba, Kitchen with Large Pantry, Fenced Back Yard, Huge Deck, New Windows. NO PETS. 4 Br / 2 Ba, Our Biggest House, Over 3000 SF. Giant Family Room with Fireplace, Office/Studio, Screened Porch with Hot-Tub, 2-Car Garage, Comes with Pool Table. 3 Br / 1 Ba, Indoor Laundry Room, Large Bonus Room, Carport with Lots of Storage, Fenced Back Yard. 3 Br / 2 Ba, Remodeled 2007, Fenced Back Yard, Bonus Room, Guest Room with Built-in Bed, Washer and Dryer Included, Covered Deck and Gazebo with Hot Tub. 3 Br / 1.5 Ba, Hardwood Floors, Bonus Room, Fenced Back Yard, New Windows NO PETS. 4 Br / 2 Ba, Remodeled Kitchen, Big Deck, Fenced Back Yard, Washer/Dryer Included. NO PETS. 3 Br / 2 Ba, Extra Bonus/Sun Room, Carport, Fenced Back Yard, Back Patio, Washer/Dryer Included. 3 Br / 2 Ba, Hardwood Floors, Huge Kitchen/Dining Area, Wet-Bar, Huge Deck, NO PETS. 3 Br / 2 Ba, Wood Floors, Remodeled Kitchen, Large Deck, Fenced Back Yard, Washer & Dryer Included. 4 Br / 2 Ba, Bonus Room, Sunroom, Fenced Back Yard. 4 Br / 2.25 Ba, Huge Remodeled 2016 Kitchen/Dining Area, Huge Laundry Room, Bonus Room, Fenced Back Yard with Patio. 3 Br / 2 Ba, Large House, Big Eat-In Kitchen, 2 Car Garage, Large Fenced Back Yard, Sunroom, Deck, Washer and Dryer Included. 3 Br / 2 Ba, Fenced Back Yard, Big Kitchen/Dining Area, 2-Car Carport, Quiet Location. 3 Br / 2 Ba, Huge Fenced Back Yard, Vaulted Ceilings, Screened Porch, Patio, Corner Lot. 4 Br / 2 Ba, New Kitchen 2015, Fenced Back Yard with Patio. 3 Br / 1 Ba, Fenced Back Yard, Screened Porch, Bonus Room, Quiet Location. 4 Br / 2 Ba, Vaulted Ceilings, Large Kitchen, Screened Porch, Fenced Back Yard, New Windows. 3 Br / 2 Ba, Totally Remodeled 2006, New Kitchen, New Windows, Large Family Room, Fenced Back Yard. 3 Br / 2 Ba, Kitchen Remodeled 2012, Fenced Back Yard, Corner Lot, Large Living Room, Garage. 3 Br / 2 Ba, Large Living Room, Screened Porch, 2-Car Garage, Fenced Back Yard, New Kitchen 2015. 3 Br / 2 Ba, Patio, New Kitchen 2015, Fenced Back Yard. 3 Br / 2 Ba, Fenced Back Yard, Living Room, Dining Room, Large Kitchen, Close to Santa Fe College. 3 Br / 1.5 Ba, Garage, Corner Lot, Large Fenced Back Yard.